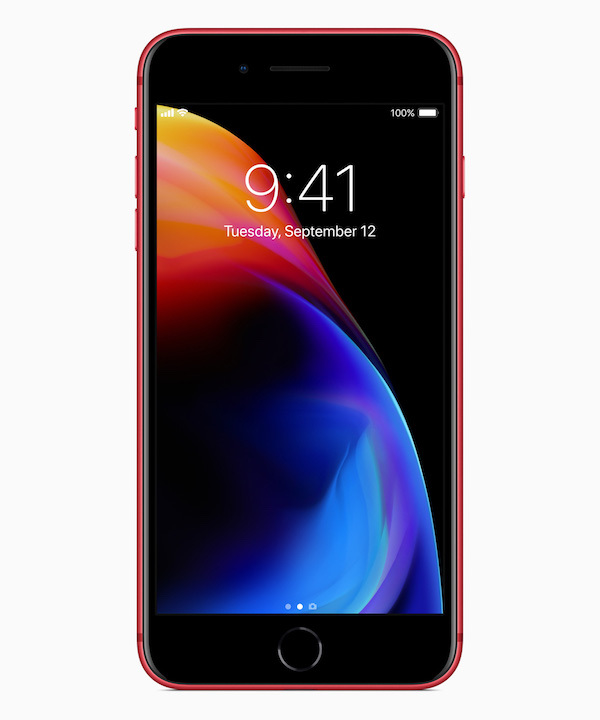 Apple has announced iPhone 8 and iPhone 8 Plus (PRODUCT)RED Special Edition, the new generation of iPhone in a stunning red finish. Both phones sport a beautiful glass enclosure, now in red, with a matching aluminium band and a sleek black front. The special edition (PRODUCT)RED iPhone will be available to order online in select countries and regions tomorrow and in stores beginning Friday, April 13. 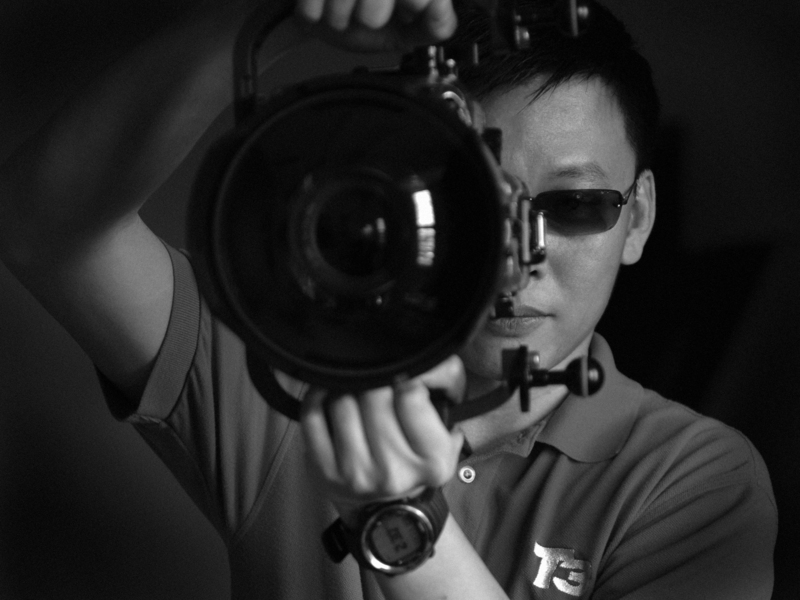 What is RED edition all about? All (PRODUCT)RED Purchases Help Provide Testing, Counselling and Treatment for Tens of Millions of People Living with HIV/AIDS. 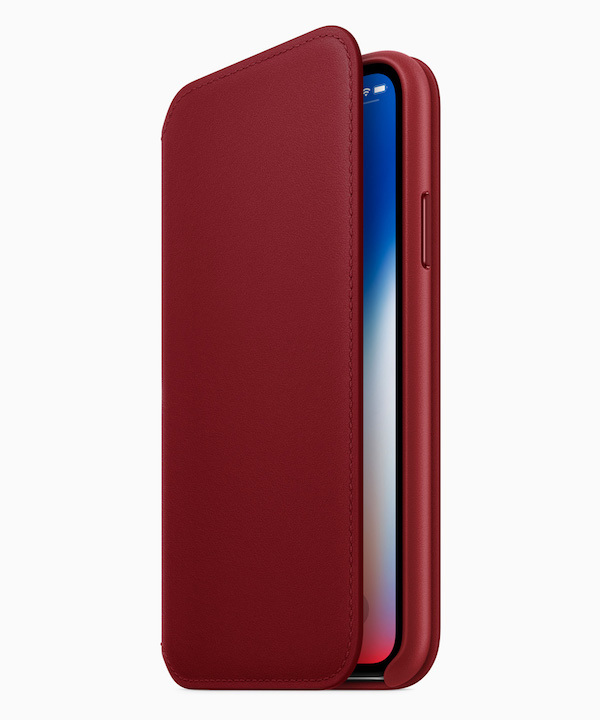 Apple also introduced a new (PRODUCT)RED iPhone X Leather Folio, which will be available beginning tomorrow. Crafted from specially tanned and finished European leather for a luxurious look and feel, the new folio joins other (PRODUCT)RED devices and accessories available for customers to purchase. A portion of proceeds for all (PRODUCT)RED purchases go directly to Global Fund HIV/AIDS grants that provide testing, counselling, treatment and prevention programs with a specific focus on eliminating transmission of the virus from mothers to their babies. Since partnering with (RED) in 2006, Apple has donated more than $160 million to the Global Fund, serving as the organization’s largest corporate donor. 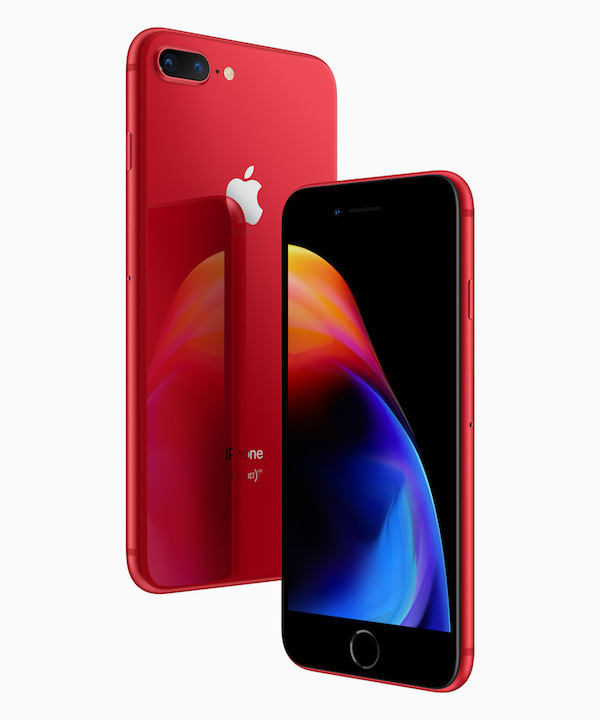 “This special edition (PRODUCT)RED iPhone features a stunning red and black colour combination and also offers customers the opportunity to make an impact in fighting the spread of HIV and AIDS,” said Greg Joswiak, Apple’s vice president of Product Marketing. “iPhone 8 and iPhone 8 Plus improve on everything we love about iPhone, including Retina HD displays that are more beautiful than ever, the most powerful and smartest chip ever in a smartphone with the A11 Bionic and more advanced cameras for unbelievable photos and videos. We are proud to support (RED) with this bold new iPhone and hope customers think it is as special as we do. iPhone 8 and iPhone 8 Plus (PRODUCT)RED Special Edition will be available in 64GB and 256GB models starting at an Apple retail price of RM3,649 from apple.com/my, the Apple Store app and Apple Stores, and is also available through Apple Authorised Resellers and select carriers (prices may vary). The special edition (PRODUCT)RED iPhone joins iPhone 8 finishes in space grey, silver and gold. Next: All-New Live Sports Streaming Player – beIN SPORTS CONNECT – is Now Available!